Swedish black/death metaller, Trident inaugurated their mystic journey in 2010 when Reaper (Johan Norman, ex-Dissection, Soulreaper, Satanized, Sacramentum) foregathered with Necrophobic members, Tobias Sidegård and Alex Friberg. A major change was occurred in the lineup of the band after the release of the debut full length, “World Destruction”. Only the two guitarists Ulv and Reaper remain in the band and three new sinistrous monks united with them. 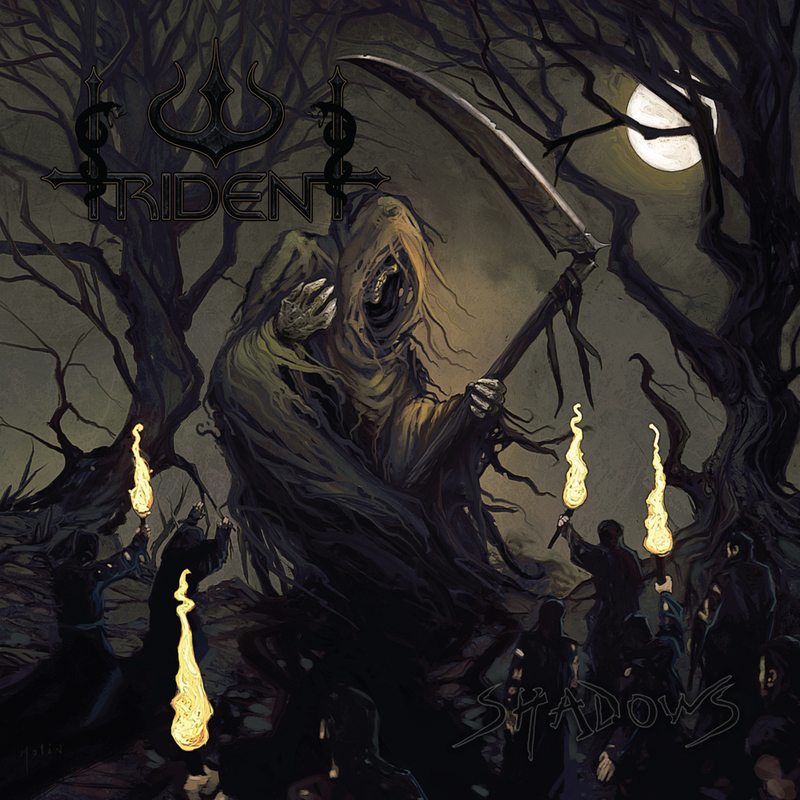 Second studio release of the band which is an ep, entitled as “Shadows” will be released under the banner of “War Anthem Records” at the end of February, 2015. Listeners of Dissection, Soulreaper and Trident are no stranger to the hypnotizing guitar adroitness of Reaper. Guitar prowess of both Reaper and Ulv takes the possession of a lot of notable moments of the record. The whole record is enshrouded with a lot of spellbinding rhythmic bridges, riffs and melodic solos. These soul ripping guitar works have created an aesthetic and at the same time a devilish atmosphere that can be regarded as a notable craft seemed to be offered in the glorious days of Swedish black/death metal era. Vocal, Defiler has showcased a brilliant job. His voice has a close kinship with the Swedish early era black metal frontmen and it is different from the voice of the great Tobias Sidegård (which is more death metal oriented in my opinion). Drumming sounds slow when necessary and aggressive with blast beats when needed. There is no notable bass works overall, but bass work presents in the record is enough to support the overall composition. 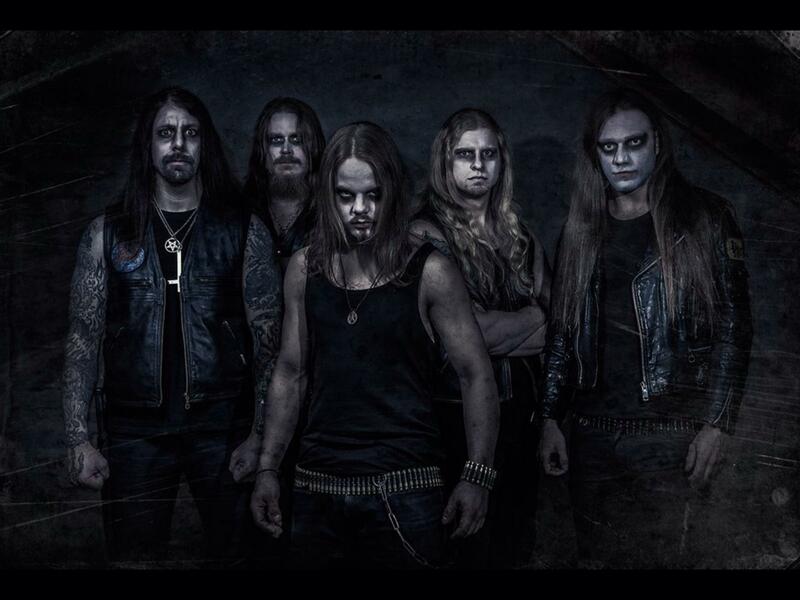 “Aftermath” and “Shadows” are meticulously and accursedly harmonized, whereas the rest of the two tracks, “Dark Nordic Rage” and “Thy Kingdom” are the demonstration of fast and aggressive form of melodious black/death metal. Title track is undoubtedly the best track of the ep and it can be positioned in as same level as the classic Swedish black/death metal tracks. “Thy Kingdom” is another track that needs to be highlighted, possibly the second best track of the ep. Lyrics of the album reflect blasphemous, anti religious and darkness based theme and it can be assured that one will not always find such kind of poised, well structured lyrics in black/death metal music. Considering the subject of production, mixing and mastering, the ep deserves a thumbs up. Anders Backelin of Lord Belial united with Trident for the mixing and mastering duties and the duties have been executed properly. The artwork with the reaper figure surrounded by its acolytes is really fascinating, but the layout and the color selection do not properly match with the evil oriented music of Trident. A major lineup change could not stop the malicious artistic journey of Trident. Unholy power of their musical Trishula is definitely going to amaze the listeners of Dissection, Sacramentum, Necrophobic, Unanimated and the like. I am yearning for the new release of the band; especially a full length in near future will be perfect.